Spent a great morning recently with this lovely couple who's wedding we are shooting later this year, the weather stayed dry for us even if it was a little chilly. 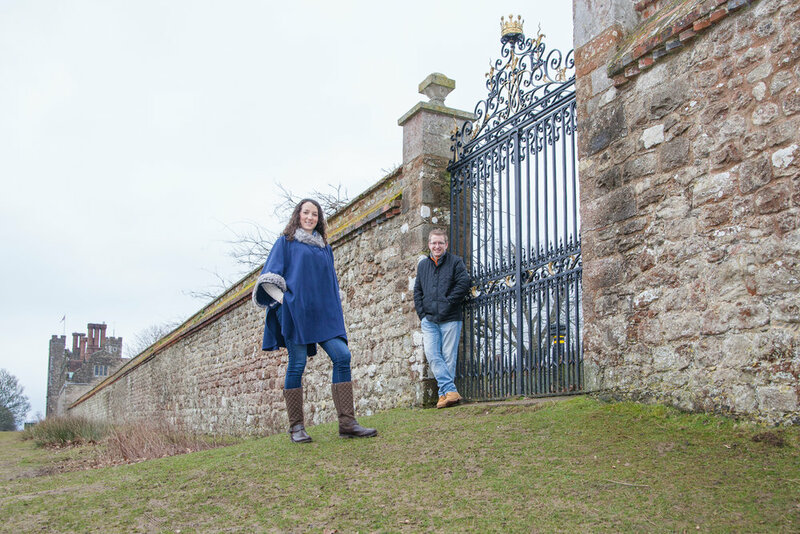 We met in the Cafe at Knole and had chat over a nice cuppa hearing about how all their exciting plans were coming along, before heading out for a stroll around the beautiful historic Knole Park. We had loads of fun and got some lovely relaxed shots of the couple. They both said they were a little nervous and bit camera shy, but within a few shots they were loving it and really relaxed in front of the camera and they were both great. This is the reason why we always like to do a little pre wedding shoot with our couples before the big day, because it means on their wedding day they are nice and relaxed for the couple shots and can enjoy doing them, it also gives us an opportunity to get a nice photo for them to have on their signing print for the guests to sign on the wedding day. After processing the images they were uploaded to an online gallery and link emailed to the couple, they both loved their photos and our little pre wedding shoot. We are now looking forward to their big day in June this year.